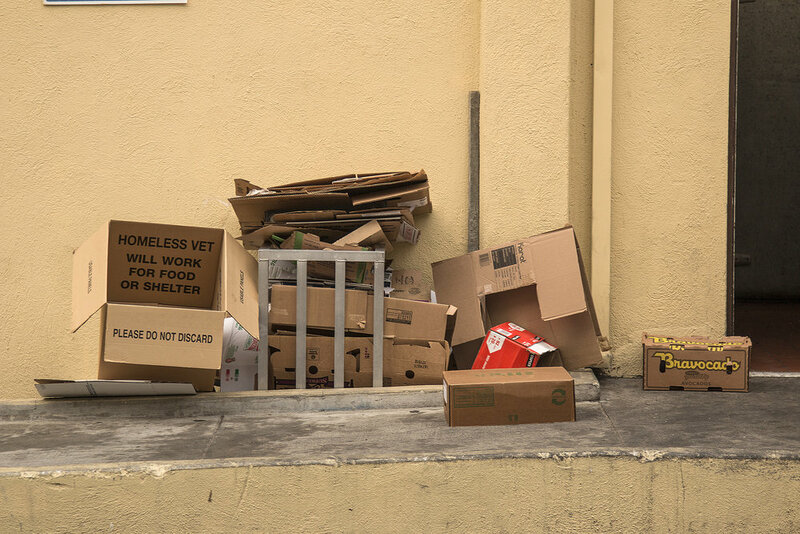 A simple corrugated shipping box. 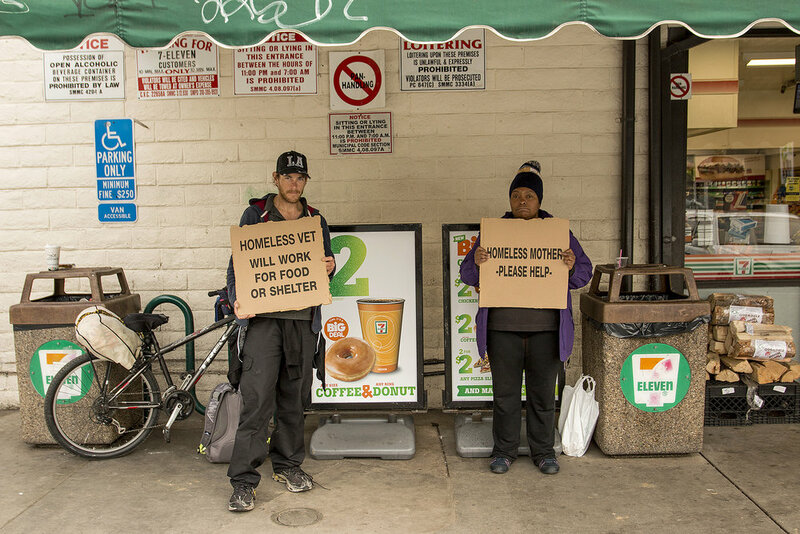 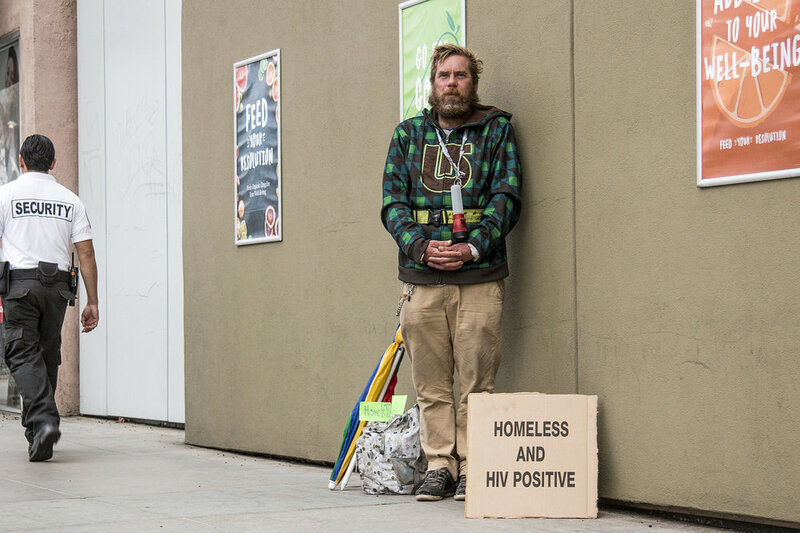 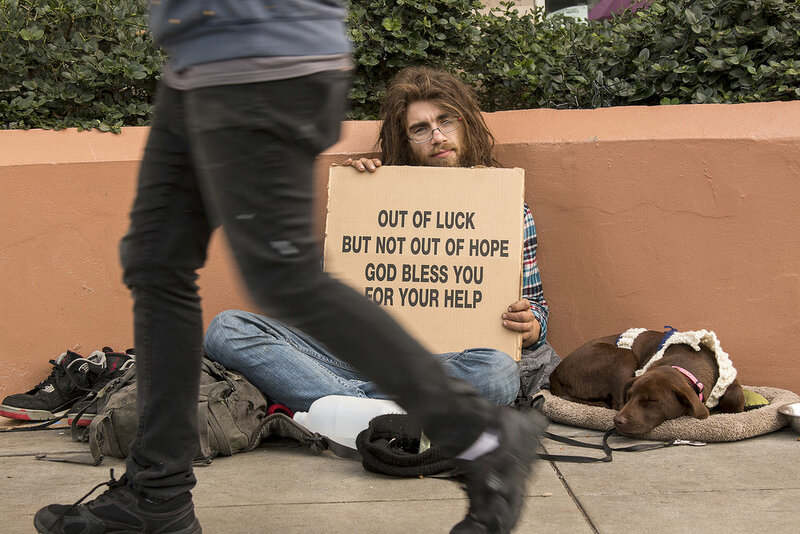 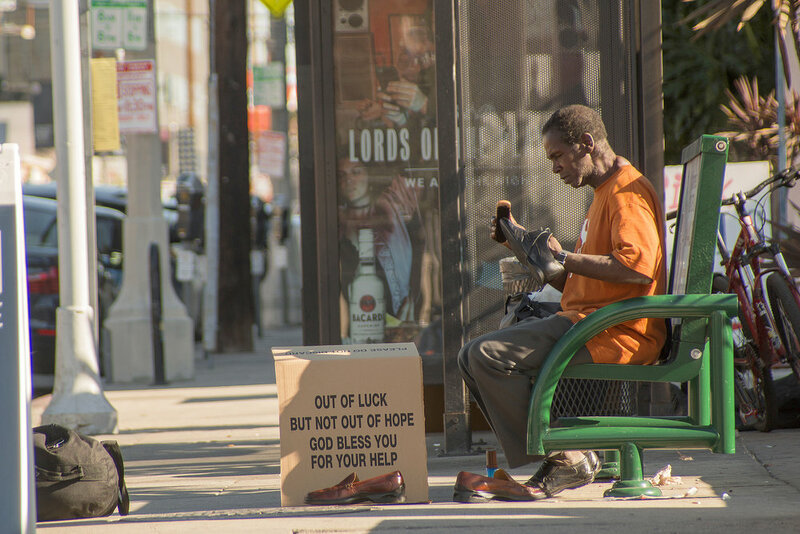 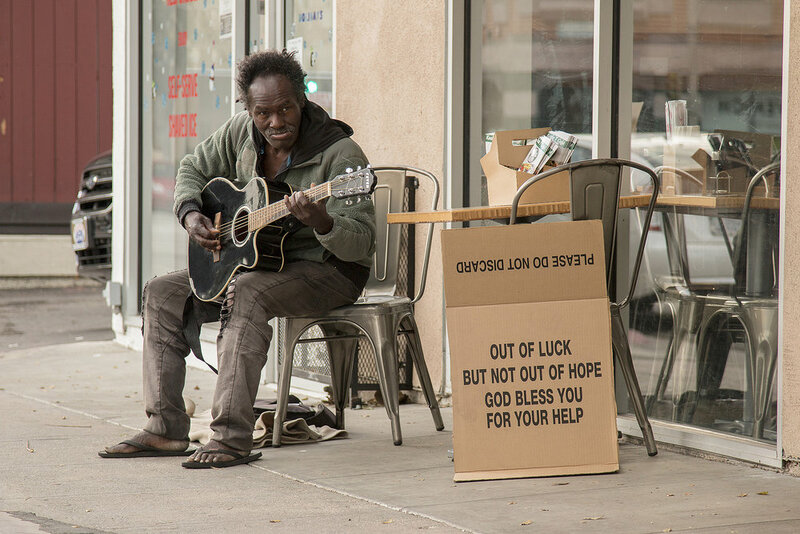 Thousands of reused, soiled, and ripped boxes in cities throughout America are the sole modes of communication homeless citizens have to convey their messages of need to the broader public. 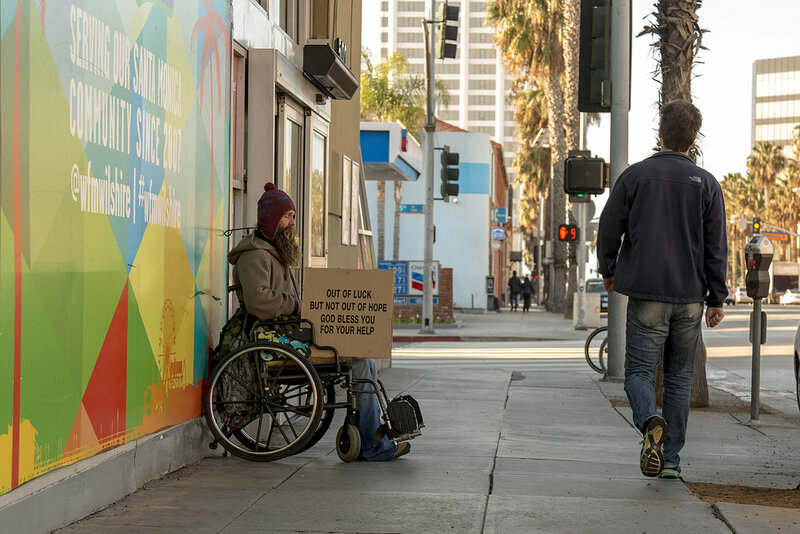 For the vast majority of people going about their daily routines, the homeless are an invisible distraction -- humans to depersonalize, walk by, or put out of mind. 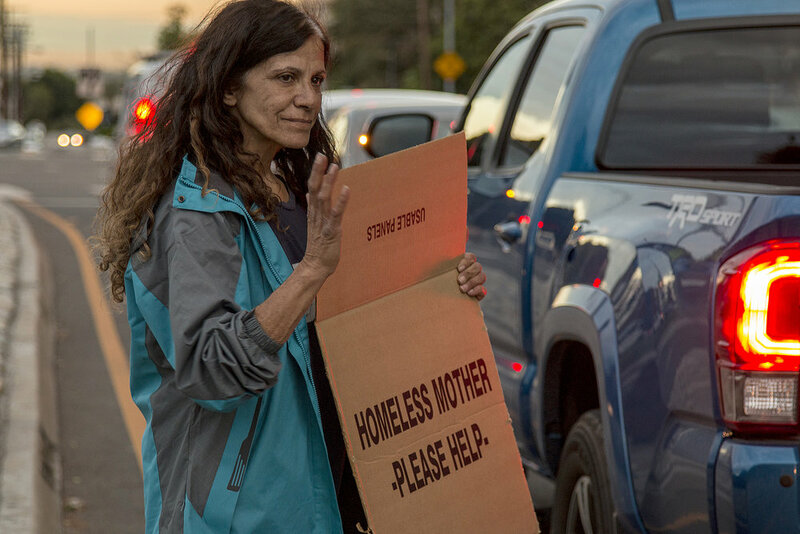 Such inattention – and at times contempt – has ensnared countless communities and ensured the continuity of the homeless problem. 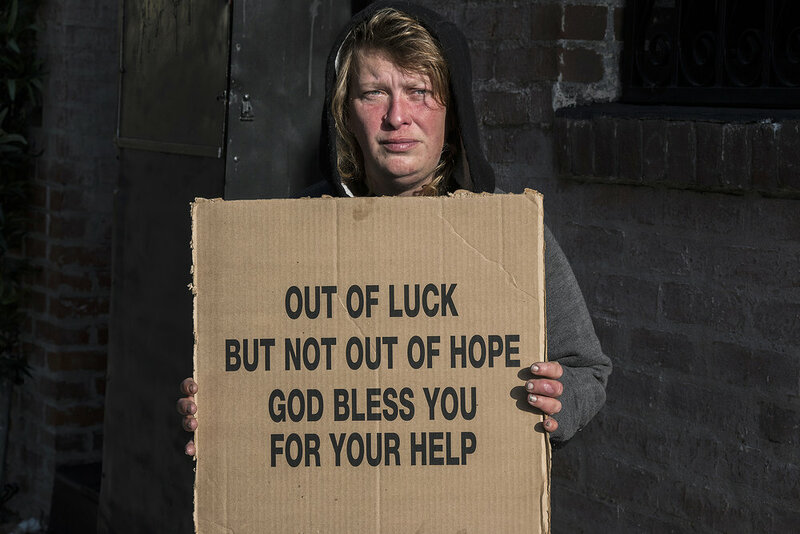 The homeless person(s) is often the first and most accessible social issue a child growing up or a person new to a city is exposed to. 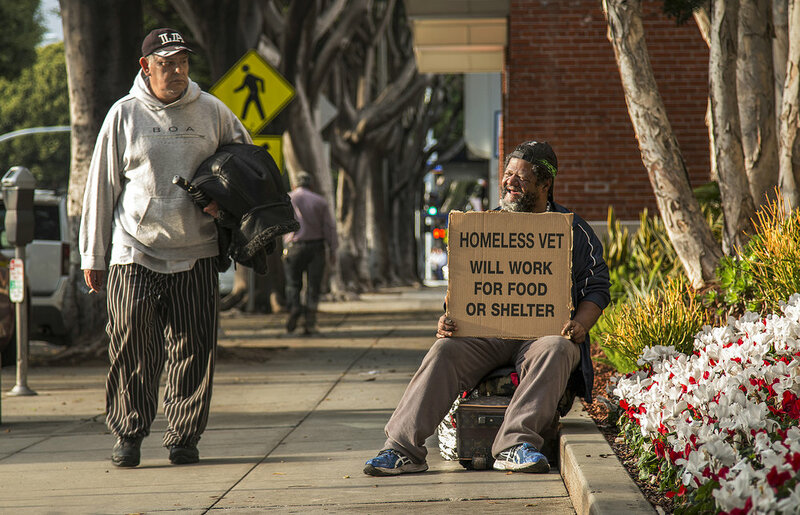 Despite that, it is an issue that persists decade to decade and encumbers some of the most fragile or sympathetic members of America’s social fabric: unemployed, displaced and disabled veterans; young adults aged out of foster care with no support network and no job; child and spousal abuse victims, the mentally ill, and the plain unfortunate whose lives have turned catastrophic. 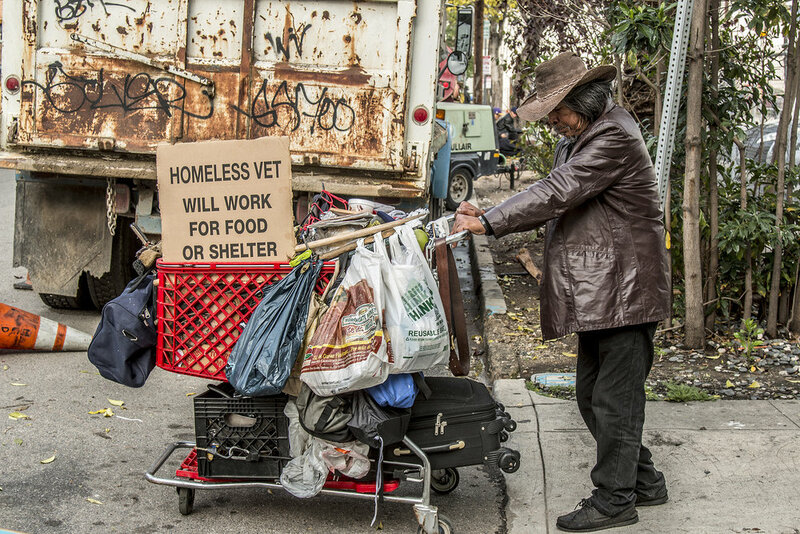 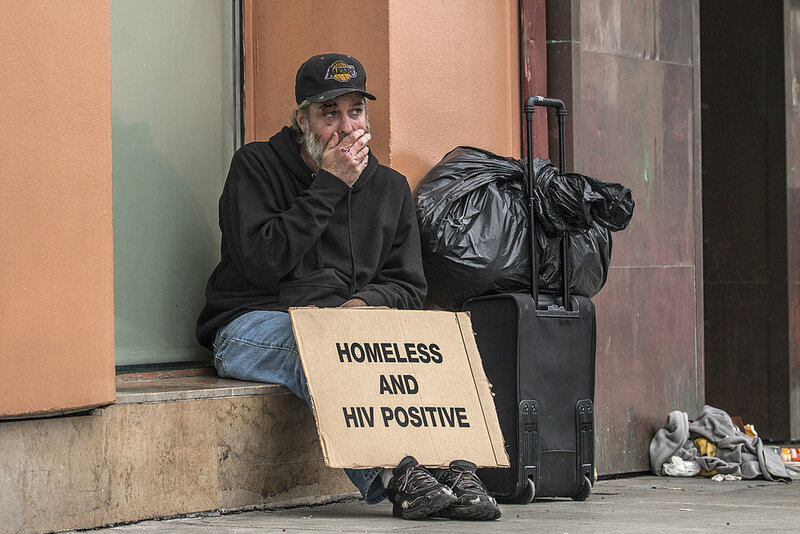 For many Americans, the homeless problem does not occupy a consequential space in their minds and souls until the homeless become a perceived safety/sanitary “nuisance” or “blight” in direct proximity to their neighborhoods or preferred public spaces. 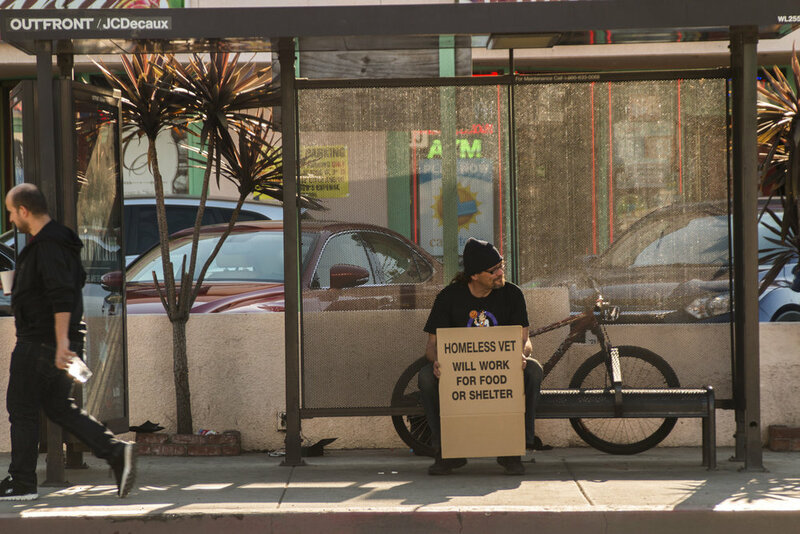 Homelessness in America – the same America whose can-do and innovative spirit is the envy of the world – should seem oxymoronic. 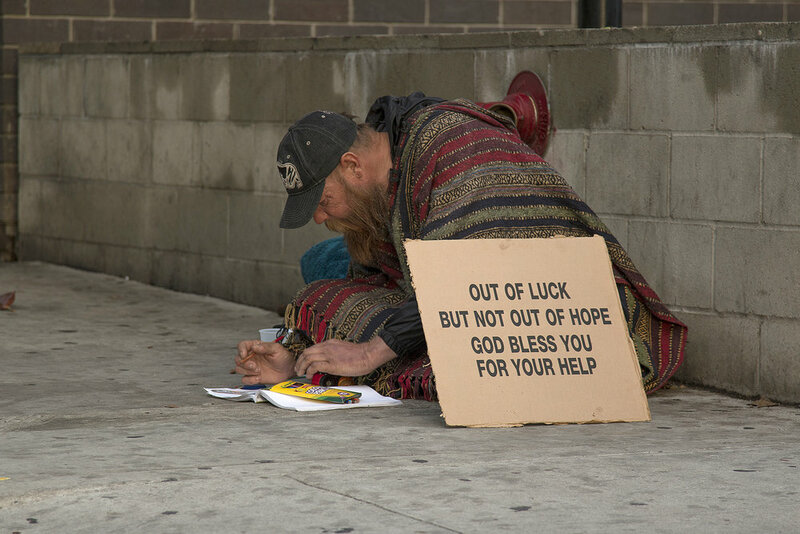 But America appears to have thrown up its hands. 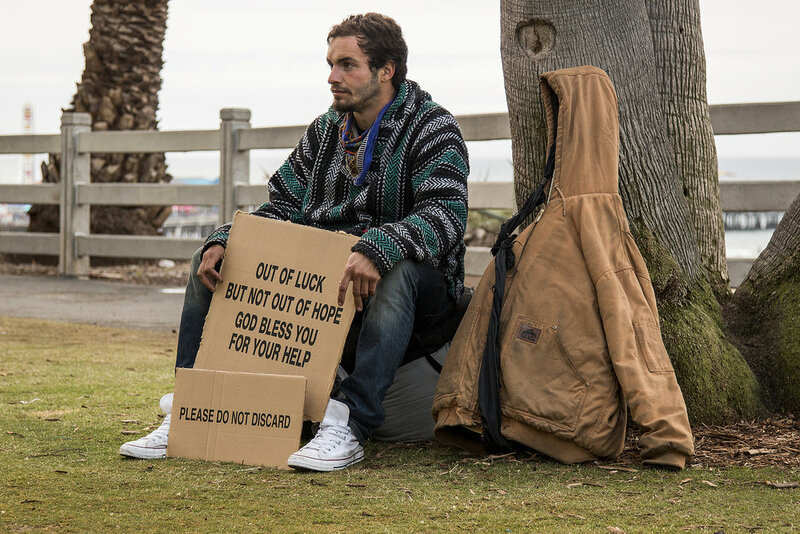 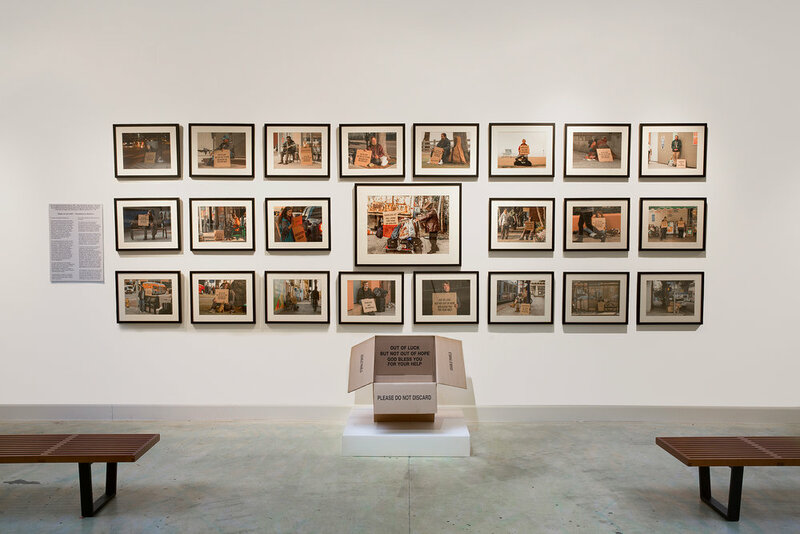 The “Made in the USA” project is a societal indictment that pointedly focuses attention on America’s failure to adequately remedy the homeless problem, and utilizes a standard-size corrugated shipping box as the vehicle to highlight the absurdity of the situation in the U.S. 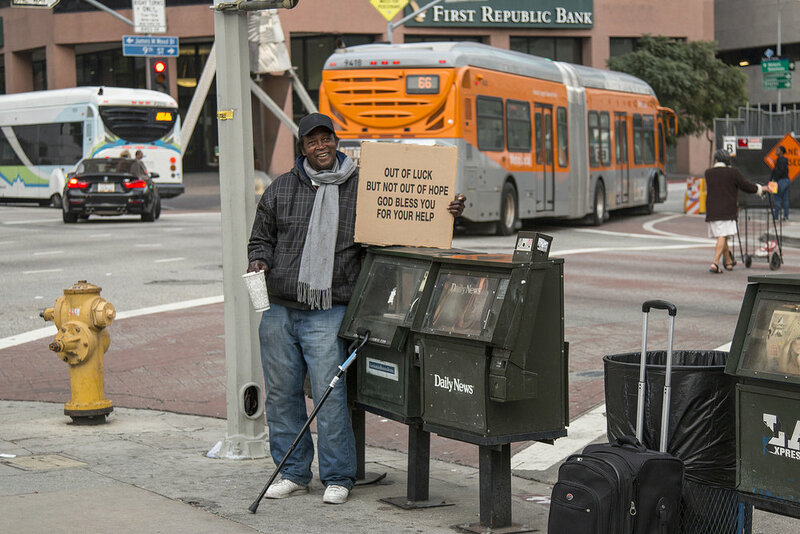 Taking note of the nation’s fruitlessness in rectifying the homelessness problem, and in an effort to wake up the country, the corrugated box has been designed from the outside and functionally looks and can be utilized as a normal corrugated shipping carton – the inside of the box, however, is like no box anywhere. 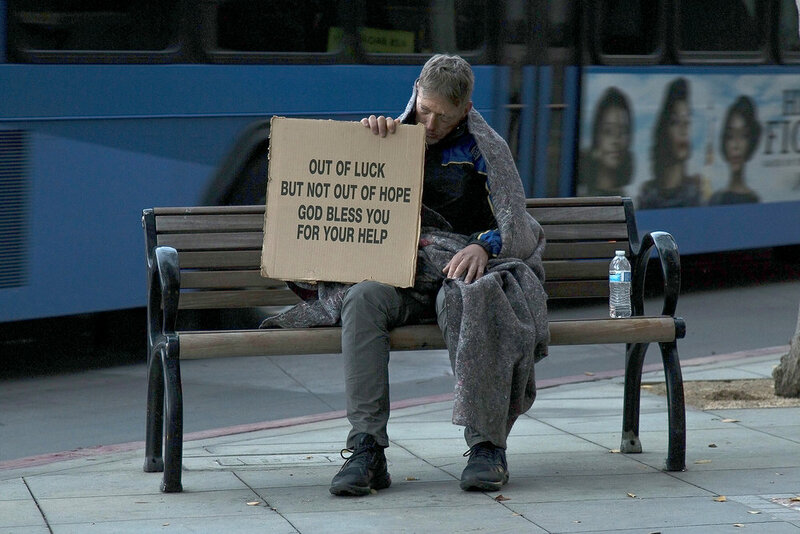 On each of the four inside box panels is a separate, pre-printed standard or generic homeless message in machine-press-generated block letters: HOMELESS VET, WILL WORK FOR FOOD OR SHELTER; HUNGRY MOTHER WITH KIDS; HOMELESS AND HIV POSITIVE; OUT OF LUCK BUT NOT HOPE, BLESS YOU FOR YOUR HELP. 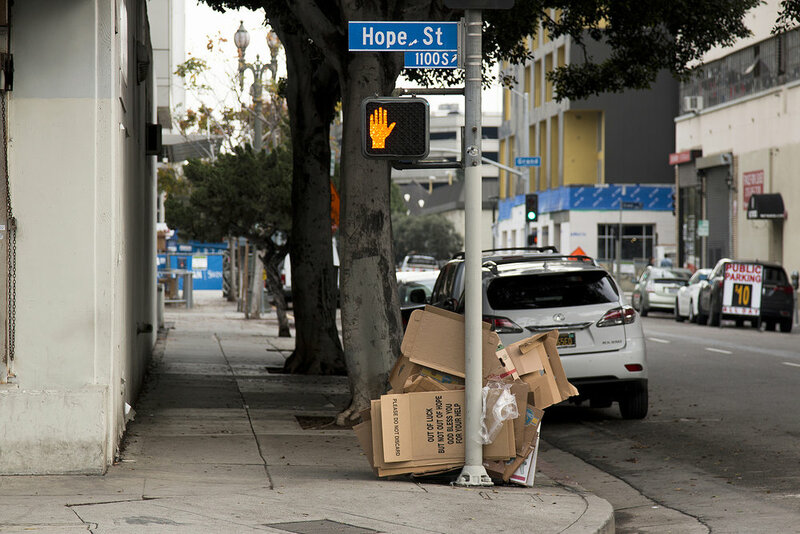 In smaller letters on each underside box flap is written with double entendre, PLEASE DO NOT DISCARD, or USABLE PANELS. 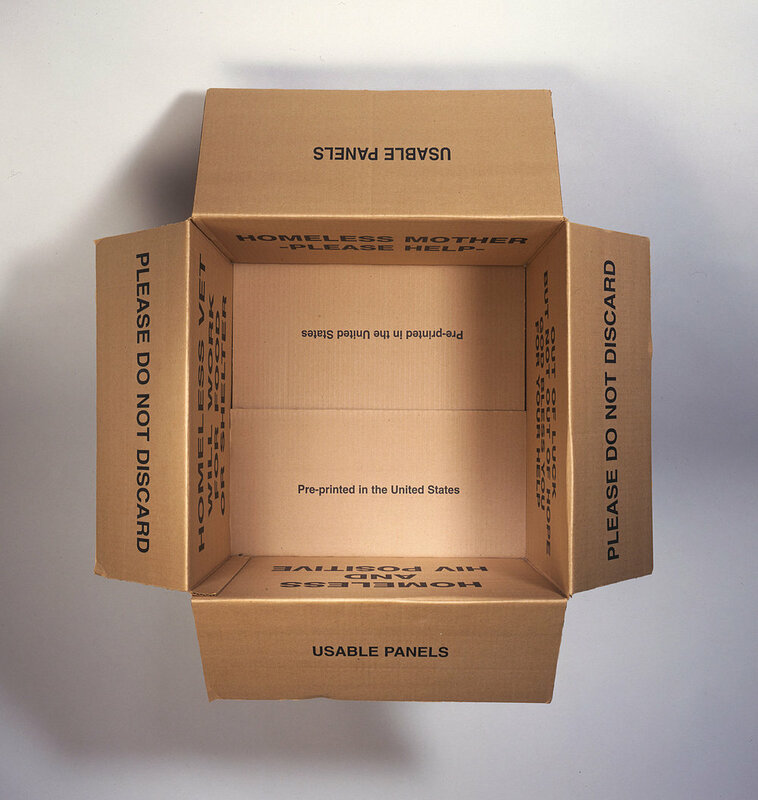 And lastly, on the inside bottom of the shipping box in pre-printed letters reads, PRE-PRINTED IN THE UNITED STATES. 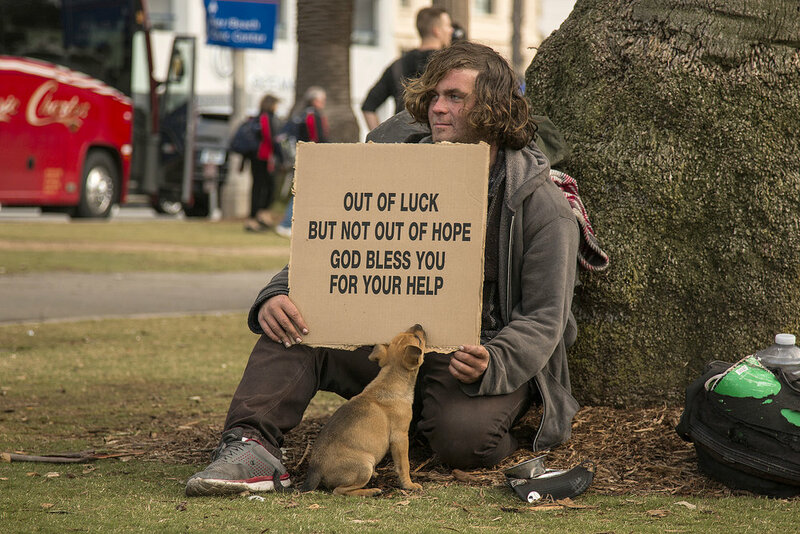 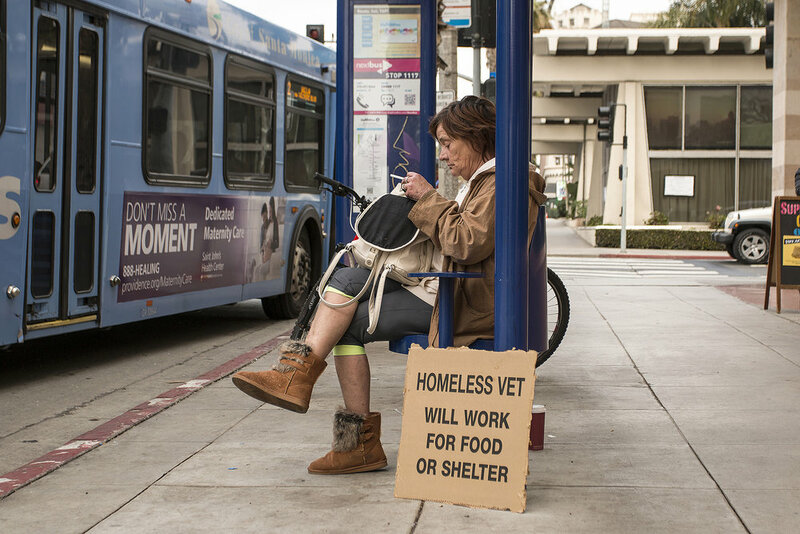 The message is that we have done so little as a country to reverse the homelessness issue that perhaps all we can do is just pre-print the messages for the homeless and save them the trouble. 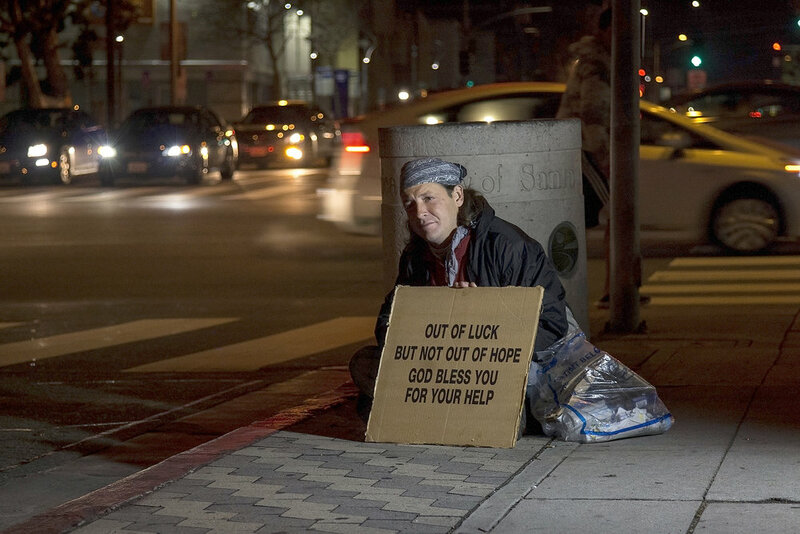 It is a searing statement of irony, outrageousness, and emblematic of what we are as a society.